Carolinas First Defense is your source for Tactical handgun and rifle training. Click on one of the firearms classes below to see what we have to offer. Carolinas First Defense tries to conduct at least one (1) North Carolina Concealed Carry Handgun Class each month, but we are capable of scheduling classes for groups on other dates as well. 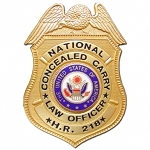 Our North Carolina Concealed Carry Classes are generally held at 1851 E Dixon Blvd Shelby, NC. But we also hold classes in Lawndale NC as well. Please look on our class schedule below to find out which location we will be holding the classes. Our knowledgeable and educated staff has the ability to teach various other classes including but not limited to: NRA Basic Handgun class, Advanced Handgun Class, NRA Basic Rifle, NRA Precision Rifle, and NRA Personal Protection Inside the Home, and H.R.218 for retired law enforcement officers. Our North Carolina Concealed Carry Handgun Class is required to obtain a North Carolina Concealed Carry Permit "CCW Permit". This class is taught by a North Carolina Certified Law Enforcement Officer and Certified Firearms Instructor. We are continually working to obtain additional certifications that will enable us to provide other extensive classes for anyone who may be interested. For updated information, be sure to continually check out our website and you can also find us on Facebook. "If you knew you would be fighting for your life tomorrow, would you change the way you train today?" North Carolina Concealed Carry Handgun Class "NC CCW"
Please check out our training schedule below.